A majority of London cab and taxi drivers feel unsafe at work, a recent survey reveals. Moira Weir, a student from Edinburgh Napier University, has interviewed 75 taxi drivers about safety and violence at work. She found that over 70% felt unsafe at work, while 88% reported they have been either physically or verbally abused by drunken passengers. Can CCTV’s improve cab safety? All cab drivers deserve to feel safe at work. Installing CCTV in London taxis can be one solution, but there will probably always be a few passengers under the influence of alcohol that will cause problems. If you’re a London cab driver feeling unsafe, make sure to raise your concerns with union rep, worker rep or line manager. 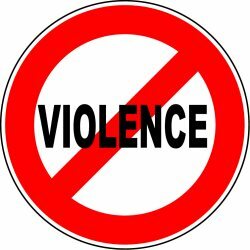 Health and Safety Executive in UK also give some brief advise about how to manage violence at work or you can order a publication at 01787 881165.